Starting from the creation of the Praktiker Hellas web site, Impact gained the trust of the largest home repair and household appliances chain store in Greece. 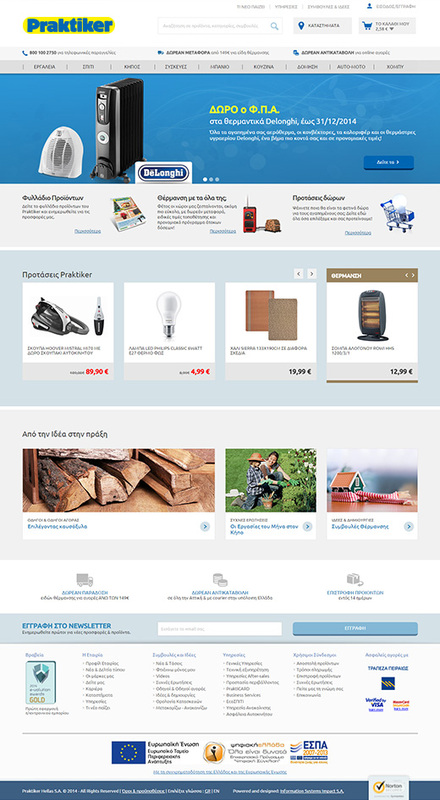 Further to Praktiker Hellas’ need to offer even more towards servicing its customers, the cooperation of the 2 companies expanded into the electronic trade with the presentation of Praktiker Hellas’ new e-shop via which its customers are able to shop online. The new e-shop, which was developed by Impact, comprises of more than 10,000 products that are constantly increasing, is divided into 20 product categories for the home, garden and leisure. For the electronic clearance of credit/debit card payments, an interface was set up with Piraeus Bank, utilizing the 3D-Secure security protocols for secure transactions.